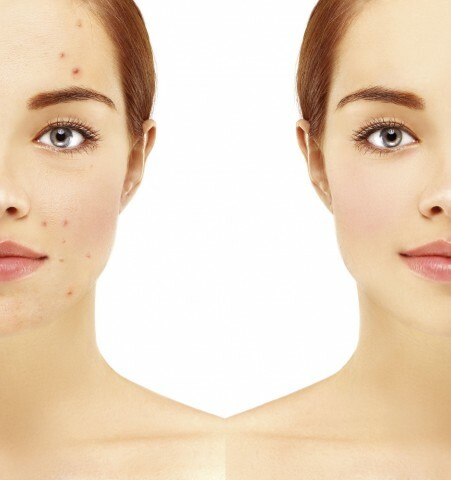 Acne affects about 85% of people at least once in their lifetime and just because you don’t experience it as an adolescent, doesn’t mean that you won’t later in life. Leaving emotional and physical scars, acne can create psychological problems for anyone suffering from it. Blu-U: Also called Photodynamic Therapy (PDT) is an advanced light technology that uses a non-laser, blue light to gently eliminate bacteria found in our oil glands. This system can be used on mild to moderate acne patients and only requires 16 minutes a week. Levulan: Is an aminolevulonic acid that is applied topically to those with more severe acne prior to using the Blu-U treatment. Levulan encourages skin’s responsiveness to the Blu-U light. Benzoyl Peroxide: A topical cream used to fight acne for over 30 years. Tretinoin: A derivative of Vitamin-A, this cream I used to correct sun-damaged skin and to fight acne. Adapalene and Tazarotene: Both creams are designer retinoids and have similar acne fighting properties to Vitamin-A. If you’re experiencing persistent acne symptoms and your current skin regimen is ineffective, call Dr. Brian Peterson at Okanagan Skin Care Centre today at 250.868.9290 for a consultation.